Home / How Could the Best British Universities’ Ideas Improve the Lives of Disabled People? How Could the Best British Universities’ Ideas Improve the Lives of Disabled People? In March this year the Royal Academy of Engineering announced seven promising inventors currently based in UK universities who are researching and inventing in areas which could revolutionise industry and in some instances, daily life for people living with disabilities. The seven inventors have been pinpointed as offering something original and special that has real potential for advancing technology in the future. The best minds from British universities have been discovered and their innovation has been showcased and is now supported by £85,000 funding each through the Royal Academy’s Enterprise Hub. Many of the ideas such as technology which should be able to work towards eliminating wrinkles and the creation of a new smart material will be interesting to see develop but there are some clear frontrunners when it comes to the disability sector and we’re looking at those more closely here. Dr Stephen Hicks is a Research Fellow in Visual Prosthetics and he is working to produce revolutionary smart glasses designed to aid those living with visual impairments and blindness. 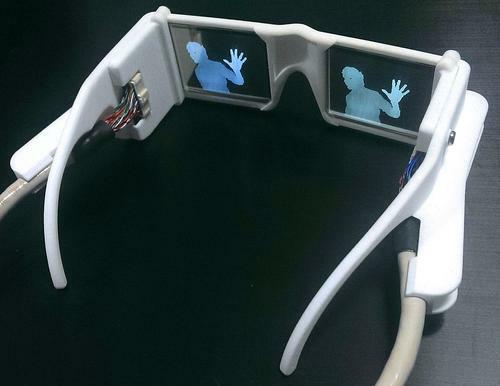 Rather than focusing on sound based or touched based assistive technology Hicks’ research and prototype is a visual display which can be worn as glasses and is designed to improve the usefulness of the vision a person already possesses. Uroglide is the development of Dr Nicola Irwin and her team at Queen’s University Belfast. Uroglide is an innovative creation designed to reduce the pain and discomfort that comes with use of catheters. Whilst many people use catheters due to operations and other work, some people require catheterisation as part of their daily life. Many people live with poor bladder function and learn to self-catheterise but this can be painful and the risk of infection or further urethral problems is higher than medical professionals would like. Dr Irwin and her team at Quen’s have developed a new and exciting coating technology which is cheaper than the current industry-standard coating for catheters and remains lubricated for longer, adhering strongly to the catheter at the same time. A lot of the pain in catheter removal at present is down to the dried out nature of the catheter itself but this new coating removes that problem completely, improving the patient’s experience and limiting pain. Uroglide has the true potential to save time and make a life changing difference to people who suffer from the pain of self-catheterisation using the current devices and their coatings. A little more unusual and indirect than the other innovations, Dr Cohen’s development is a wireless device that detects and uses 3D movements in your fingertips to interact with a computer. Whilst it has been touted as a huge potential development for computer gaming and remotely operating machinery, it could also be used in AAC technology, as an alternative for people who are able to use their hands but perhaps are non-verbal. These are just some of the many ideas our universities are coming up with and the more technology can be utilised to improve people’s lives, the more funding and focus it should be given. ← How will Driverless Cars help Disabled People?